Special Blends can deliver what very few "stand alone" coffees have: just the right acidity, or "snap", the pleasing spice and fruit notes, AND scrumptious syrupy body! Some say that no single varietal will do, however, the Antigua region of Guatemala, the Tarrazu region and Doka Estates of Costa Rica, the majestic Kenyan coffee and possibly some select Ethiopians can at least come close to running such a gamut of extraordinary balance. And So Enter Special Blends! Blending is the art of combining two or more varietals to create a unique coffee that is greater than the sum of its parts. Someone blending for flavor would think about each bean and what it has to offer and then choose another varietal or varietals to fill in the missing notes, with the goal of creating a glorious symphony of flavor. Sound like fun? If creating special blends turns you on then you're in for yet another wonderful treat in your journey through the coffees of the world! As you discover what your favorite varietals are, you can begin your own exploration of experimental combinations to create your very own special blend. 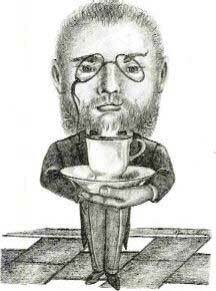 "The Perfect Cup" your very own! If you love coffee the way we do, this can become a highly satisfying hobby and a great way to make a hit at friend and family get togethers! "Yeh, I know its incredible and yes, (tongue in cheek) I created this blend!" 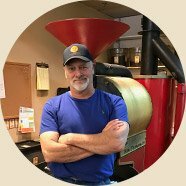 Creating blends has definitely been one of the more satisfying endeavors in my coffee roasting career and as Lakota owner Skip DuCharme would tell you, blends play an indispensable part of owning a successful coffee house. If blending isn't for you, never fear, there are plenty of great blends for you to explore including favorites in our coffee house and many other great coffee houses around the world. As a coffee snob in training, you would certainly be well advised to explore the exciting world of inspired coffee blends! 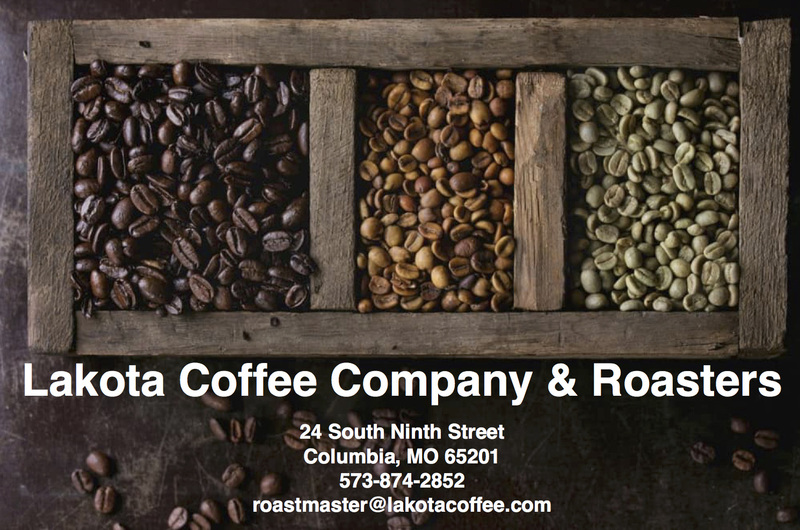 Listed below you will find a sampling of the coffee blends offered by Lakota Coffee Company for your drinking pleasure! Lakota Created this delicious special blend for Les Bourgeouis Winegarden and Bistro in Rocheport Missouri. With rich, clean flavor, Bistro Blend is truly a compliment to their award-winning wines! Be sure to try this outstanding blend! A sophisticated meeting of Fair Trade Organics at the halfway point in your coffee journey: 50% Fair Trade Sumatra and 50% Fair Trade SWP Decaf Timor. Smooth, Rich Flavor, with ½ the caffeine! The World's Oldest Blend: Here is the time honored meeting between Arabian Mocha Yemen and Java Estate that constitutes the world's oldest and most famous blend in all of its original glory! Expect full-bodied, bittersweet chocolaty overtones that enhance Mocha Javas rich complex flavor! Rich and mellow, This is Lakota's darkest roast. It offers a sweet taste and unique richness not found in many other coffees. This is a unique blend of two Certified Organic coffees. Certified Organic Costa Rican beans are full city roasted for bright acidity while a French roasted Certified Organic Peruvian adds deep richness. Don’t fail to try this superb organic blend. A fusion of South and Central American flavors that create a lingering richness. Lakota donates a portion of each purchase of this blend to the Wounded Knee District School in South Dakota! Lakota's unique house blend is a light, lively coffee that offers a mouth full of flavor. Its a tasty, balanced coffee that you'll enjoy all day long! An exquisite blend of the finest Indonesian and African coffees and a touch of snap from Central America. This blend features a combination of full city and french roasted coffees that offers a delicious medley of smokey overtones, full flavor, aromatic spiciness, and exceptional body! A unique, tasty blend of Celebes Kalossi, an Indonesian coffee that adds richness, and Lakota's Coal Black Italian Roast, which brings great body and smoothness. A blend of this caliber is difficult to find! A hearty blend of the best Indonesian Coffees in the world. Jakarta stands up to the richest dessert. This is one of Lakota's boldest, heartiest blends and a superb after dinner coffee! Lakota's Esspresso is designed to hold its flavor in our delicious specialty drinks. Our unique blend produces a straight, bitter-sweet shot of wonder that is the dark, rich, pure essence of coffee.